To commemorate the 100th anniversary of Edsel Ford’s historic road trip from Detroit to San Francisco in 1915, automotive enthusiasts are recreating it. Mark Gessler and Casey Maxon of the Historic Vehicle Association set out in a restored Ford Model T touring car last Saturday to loosely replicate the 3,500-mile drive that the then 21-year-old Edsel made on his way to the World’s Fair a century ago. With a 35 mph top speed, the travelers are cruising in an appropriately leisurely style, hitting Indianapolis, St. Louis, and Las Vegas before heading up the coast of California. (They're expected to arrive in San Fran on August 18.) 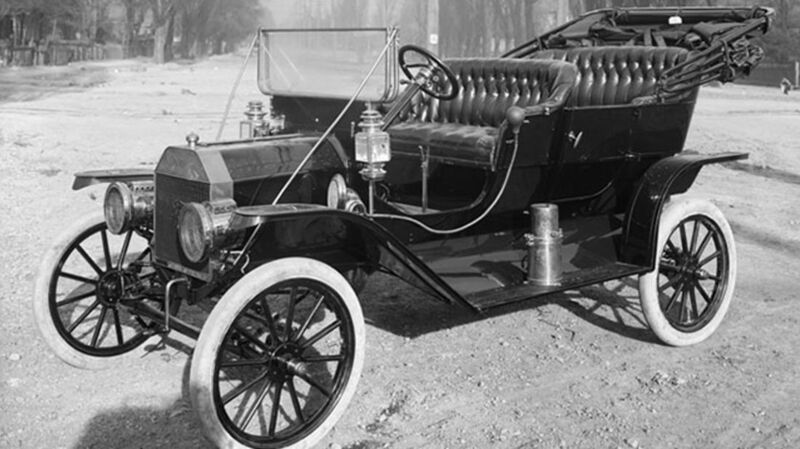 The car was refurbished with the intent of keeping pace with the original journey—150 to 250 miles a day. Edsel (the only son of founder and automotive mogul, Henry) and his friends meticulously recorded their trip with photos and a daily log. The Ford Motor Company’s expo exhibit at the 1915 World's Fair included a working assembly plant that produced 18 cars a day. A total of 4,000 were made during the fair that year, and around 50,000 Model T’s still exist today. To follow the journey and learn more about the original trek, visit the HVA Website.